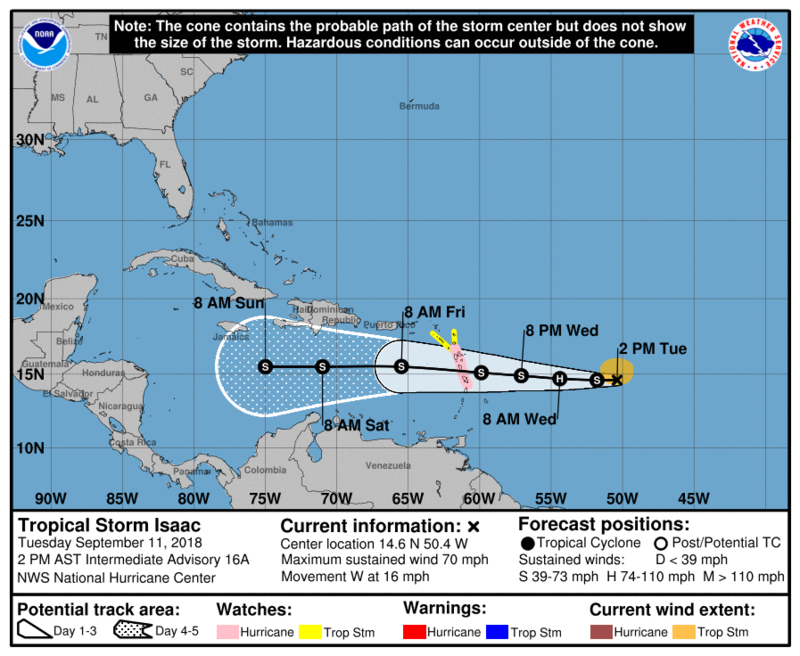 MIAMI — Tropical Storm Isaac will plow westward and bring strong winds and flooding rain to the Lesser Antilles midweek. Isaac was located roughly 775 miles east of the Lesser Antilles as of midday today. The storm is rather compact in size and this may make it susceptible to fluctuations in strength in the coming days. 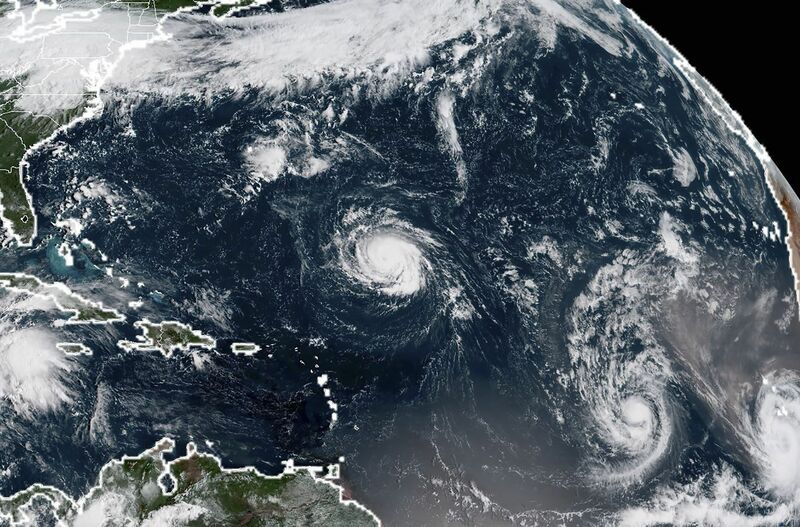 Isaac weakened to a tropical storm on Monday night, but may once again reach Category 1 hurricane strength in the next day or two. 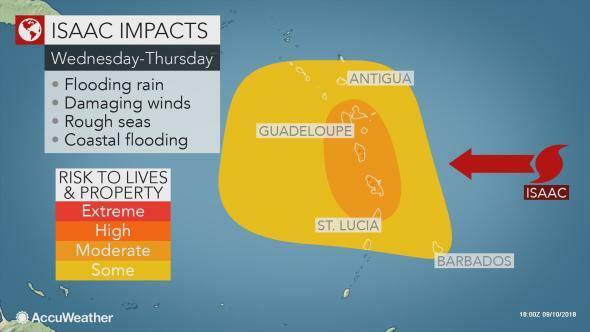 Hurricane watches were issued for Guadeloupe, Martinique and Dominica. At the same time, tropical storm watches were issued for the islands of Antigua and Montserrat at midday today. Once Isaac approaches, the storm is expected to once again encounter increased wind shear ahead of reaching the islands. Exactly how much wind shear Isaac encounters will determine whether it retains its status as a strong tropical storm or is a hurricane as it passes through the Lesser Antilles.